Easter is coming up soon! 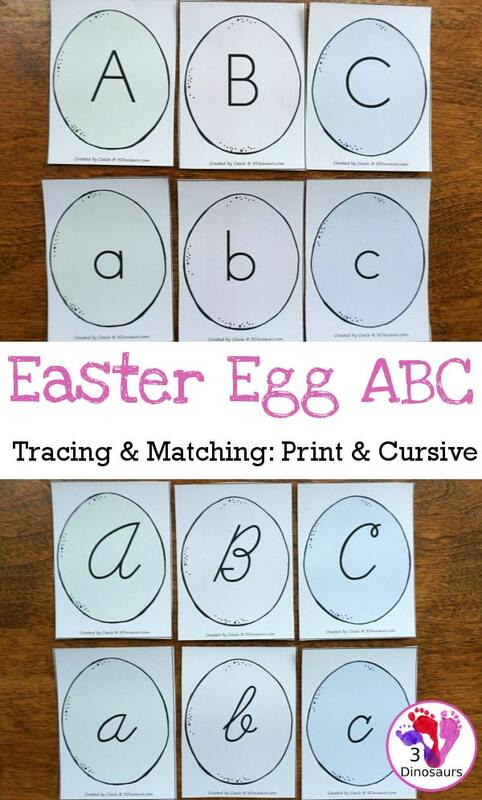 Practice letters with your child with this Easter Egg Letter Tracing & Matching! This is an amazing resource if you’re teaching your child to recognize letters as well as to start forming letters, both print and cursive. This resource from 3 Dinosaurs has a set of uppercase and lowercase letter cards in both print and cursive as well as a set of uppercase and lowercase letter cards in print and cursive which are traceable! You can have your child match the cards in any way you like as well as practice pencil grip and letter formation! Grab this Easter Egg Letter Tracing & Matching now!